Bigfoot Tony posted this video preview of some new analysis on the Independence Day Bigfoot Footage. What has Tony discovered? ... we hear you cry? Well, use your imagination – sasquatch is another name for Bigfoot, and this particular beast is basically Bigfoot covered in weed. Life is still chugging on in its peculiar trajectory. Graham is on his way to South Molton to get the courtesy car, and I feel like something written about by Kafka. The initials of Gregor Samsa are GS after all. As I write this I have just had the fifth call today about free gas boilers. I lost my temper, pressed two to speak to an advisor and screamed abuse at him until he put down the phone. I feel slightly better after having done so. But Lady Selene is wreaking havoc, and once again I think that I would rather be somewhere else. 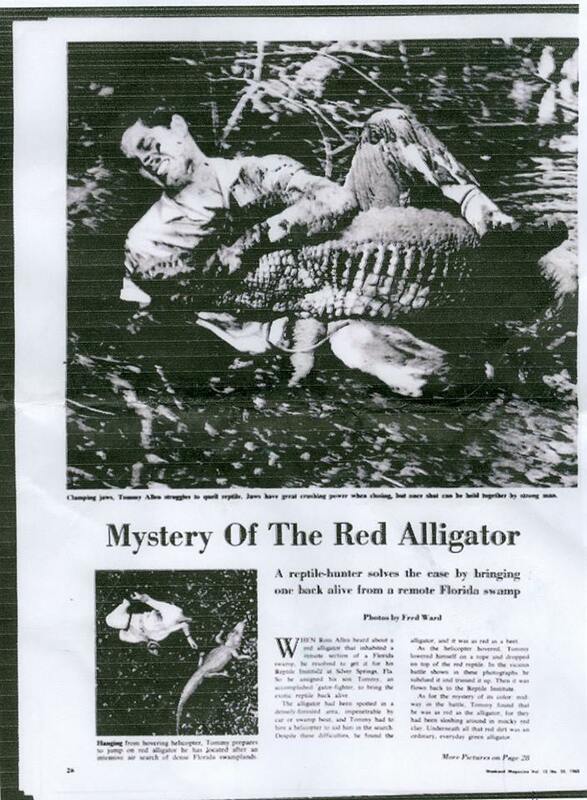 MUIRHEAD`S MYSTERIES; A red alligator in Florida. ON THIS DAY IN - 1840 - Britain's Queen Victoria married Prince Albert of Saxe Coburg-Gotha.